Made in the USA !! 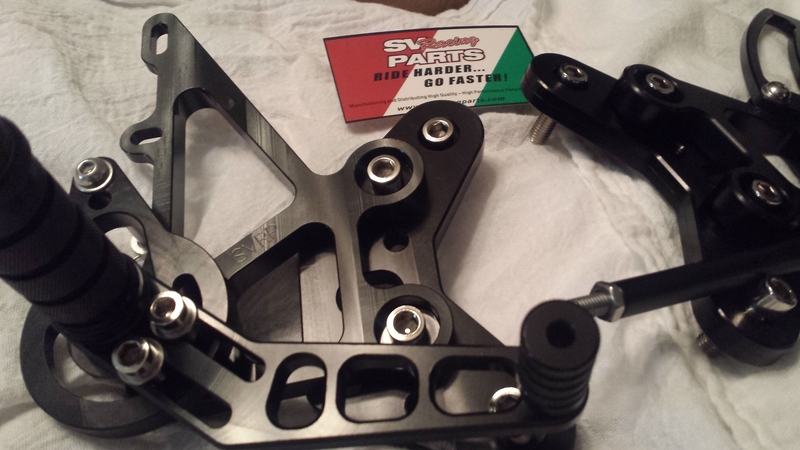 Fully adjustable Racer Designed, Precision CNC Machined, Billet Aluminum Rear Sets. Gen 3, 2017 to Current Year Gen 3 SV650 Models 2017 and Newer, from the drop down box. Beautiful Black Anodized Finish!! These are All Excellent Parts that will serve you well. 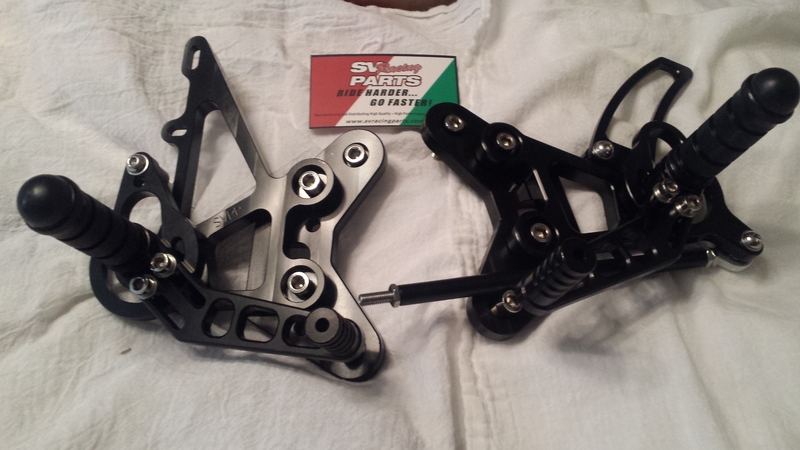 Universal Foot Pegs, Shifter/Brake Levers, and Toe Pieces make these Rear Sets easy to repair and replace parts. 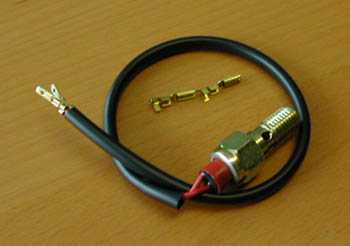 Perfect for the track, or street when used with rear brake light pressure switch available separately.